The dragon tree plant most commonly grown as a houseplant is the Dracaena marginata, or Madagascar dragon tree. Other varieties of the Dracaena genus grown indoors include D. fragrans and D. sanderiana; all are tropical plants that like shade and dry conditions. They are among the hardiest houseplants available, and produce attractive, tree-like foliage. The dragon tree plant is also desired for its trainability; some owners create arrangements from them by wiring or bending the woody stems. The Madagascar dragon tree plant likes moderate to low lighting, growing best in partial or filtered sun, or in full shade. 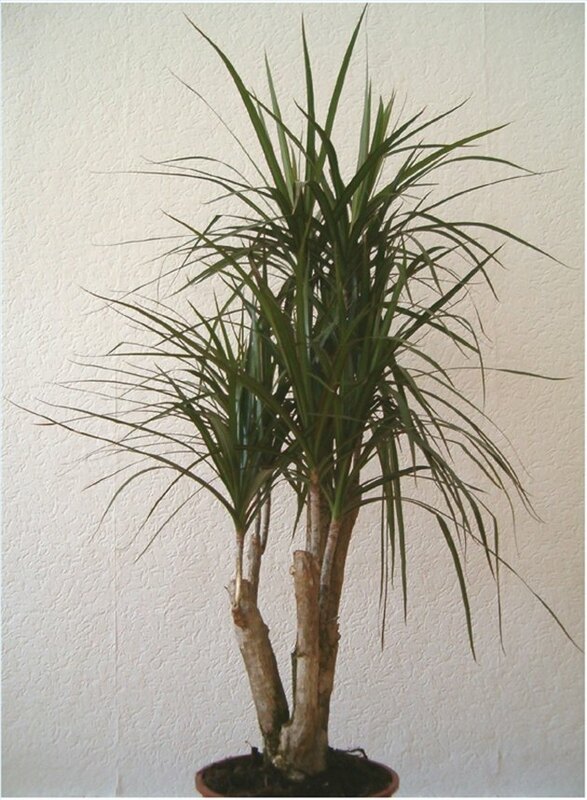 Other dracaena species may need more light to maintain their foliage colors, and all prefer indirect sunlight. It cannot withstand a frost; it is classed in USDA hardiness zones 10 and 11, or not below 30 degrees F. Outdoor dracaenas should be brought in or overwintered in greenhouses. Dracaenas grow best from 59 to 78 degrees F, and may begin to drop leaves if kept below that range. Dragon tree plants do not need to be watered frequently. The most common mistake with dracaenas is over-watering; this is the fastest way to kill the plant. Water about once a week, and not even that much if your plant begins to drop its leaves and has a soft stem. Soil should be allowed to dry out before watering again. The plant will signal when it needs water, when its leaves begin to wilt. Well-drained soil is necessary, and good, loose potting soil should be fine for it. If the soil is too tightly packed, add peat, mulch, bark or sand to loosen it. Too much moisture in the soil will commonly lead to root rot, for which the cure is repotting in dry soil. Since these are jungle plants, they appreciate higher humidity levels, like ferns. Some dragon tree owners report success in placing their plants in bathrooms or laundry rooms to take advantage of the higher humidity. 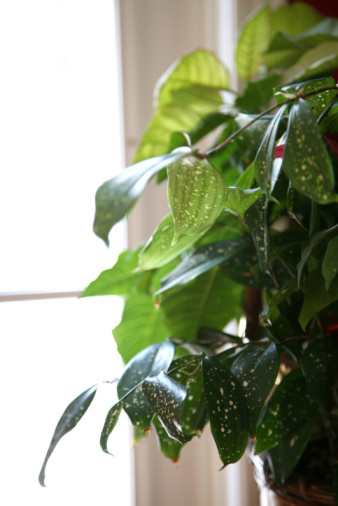 You can also use a mister or humidifier nearby to increase the humidity, but it is not critical to the plant's growth. Other varieties of dracaena do best with lower humidity, around 20 percent. As with ferns, these plants sometimes are infested with spider mites or mealy bugs, so watch for pests. Fertilizer is mostly not needed, but you can fertilize lightly, as little as once a year, or as often as once a month during the plant's active growth period in the summer, if desired. If you want to train your dracaenas to grow in an arrangement or style, slightly more frequent watering will soften the stems and make them easier to wire or bend.